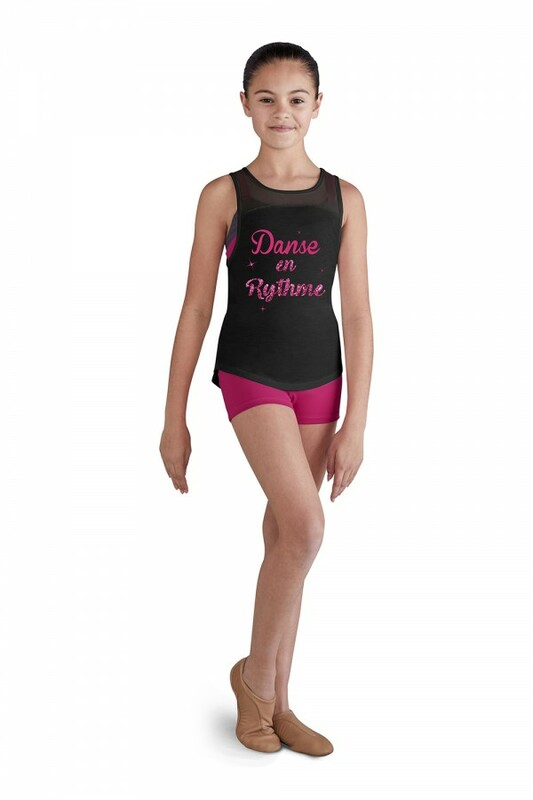 This printed tank top is a great style for various dance and fitness activities. Mesh front and back yoke features a looped back design. Loose fitting and breathable material makes this a style you'll want to wear every time you exercise. 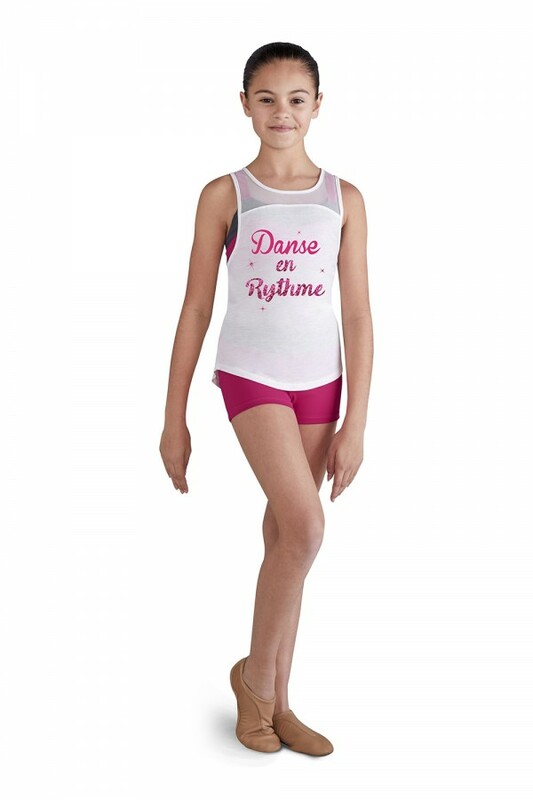 'Danse en Rythme' is printed on the front.